It's been a teeth-rattling rollout -- filled with thrills and near-spills. 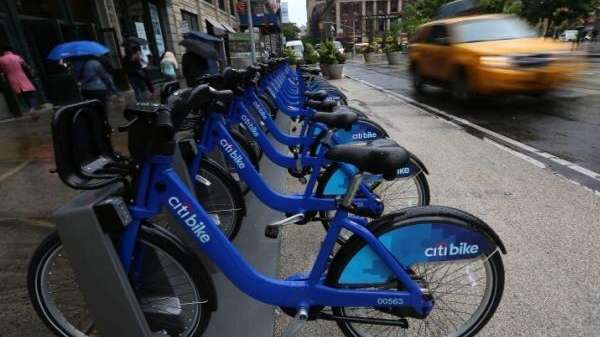 But now, as New York's Citi Bike program heads toward its first anniversary next month, a fast, thorough overhaul is needed to keep the system solvent. Mayor Bill de Blasio says he won't even think about plowing public cash into a bailout until the operator of the program -- Alta Bike Share of Portland, Ore. -- retools the system. He's pedaling down the right path. Citi Bike has a lot going for it. New Yorkers love the curbside rental system with its racks in parts of Manhattan and Brooklyn. Almost 100,000 people have signed up for annual subscriptions -- far more than planners expected. Backers envisioned the greatest profits coming not from annual subscriptions, but from tourists running a daily tab, say city officials. And that tactic hasn't panned out. The reasons remain a mystery. But officials and bike-share advocates say the main culprit could be a registration and payment process that's less than user-friendly -- especially for non-English speakers. An unusually brutal winter didn't help, either. And New York has its own special tics. What works for Alta's program, say, in Washington, D.C. -- with 19 million tourists a year -- won't necessarily work here, with our 54 million visitors a year. The logistics of stocking thousands of bikes in the right places at the right times are far more difficult in New York. And for tourists -- not to mention the rest of us -- the traffic can get downright scary. Citi Bike's potential in the New York market is huge, but significant challenges must be overcome. Maybe prices need to rise in tandem with improved operations. Maybe new revenue can be found by expanding advertising sales. The city should continue to work with Alta to iron out its operational kinks and reach profitability. While most other cities subsidize their bike-share programs directly, this one should pay for itself. Citi Bike has quickly become part of the city's heart and soul -- a way to help keep the town greener and ourselves healthier. We wish it a swift ride into the black.